Oh no, the dreaded day is coming near. Are you ready for it? Now, don’t even try to act clueless and innocent. You know which day I’m talking about. I’m referring to that one (sometimes several) day of the year when our desperate creativity is put to the test. Yes, it’s time to have one of those drug tests again. What are you planning to do this year to pass it with flying colors? If you are completely oblivious as to what you should do, then I guess I’ll take it upon me to help you get through this not-so wonderful time of the year. Drug tests can always catch users off guard. And it really doesn’t matter how much of a user you are. You can be a die-hard weed smoker hardly missing a day of action or a noob just trying things it out. It can be your first time using a substance and fate will still play its nasty tricks on you. It will catch you during moments you least expect. Before you know it, you’re panicking. You have no idea whether you should just run away to avoid the embarrassment – maybe start a new life somewhere bearing a new name – or just brave it and hope for the best. Well, shelter your heart my dear friend. There is no cause for worry. You will certainly not lose your job or your life over a single drug test. Take it from someone who’s successfully passed several and still going strong, lol. The Classic Urine Test – This is a type of laboratory drug test done by getting a person’s sample urine and examining it for traces of substances. The Strict Blood Test – This type of drug test requires taking a blood sample from the person in question and examining traces of substances carried in the blood. The Gooey Saliva Test – This type of drug test is one with faster administration but less accurate results. It requires taking a sample of the person’s saliva and examining it for traces of substances. The Hair Follicle Test – This modern drug test requires taking a fresh strand of hair from the person in question (much like a DNA test) for closer observation. It is said that traces of strong chemicals are stored longer in the hair’s follicle. Wherein, your chances of passing a saliva drug test is higher urine, chances of passing a urine drug test is higher than the hair follicle one, and so on and so forth. Among these tests, the blood test is probably the most elusive. However, it is still possible to pass all these types of tests without due trouble so rest your heart. Annual drug tests should already be expected. If you’ve been with an establishment long enough, you should be able to predict – at least on a general level – when it will happen. A month before it does, it would be wise to cease your use of the substance and start detoxifying your system instead. Eat food with lots of fiber and hydrate yourself; flush out any and all traces of substances along with other toxins in your body. Concentrate your diet with fruits and vegetables, especially leafy greens. Along with some exercise, you’ll be back in perfect, untraceable shape in no time! 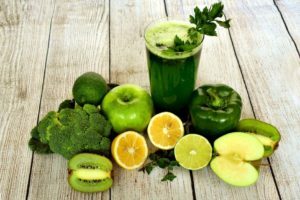 When planning to detoxify, bringing your dose down gradually until you reach the minimum is a wiser thing to do in advance. This way, you will have less to flush down – making the whole detoxifying process faster and easier. Bringing down your dose gradually will also help you avoid any withdrawal symptoms that usually arise with cold turkey. Start by bringing your dose down by 10%, then 20%, up until you reduce your consumption to 90%. If drug tests happen so abruptly that you hardly have enough time to cleanse your system, you can always turn to technology. We have products so advance nowadays that faking your pee or blood sample shouldn’t be a real problem. We also have detox shampoos that can rid traces of substances from your hair. Check online stores for pass a drug test products when they aren’t available in your area. Last but not least, drink lots and lots of water. Keeping yourself hydrated helps flush out toxins from your body faster. It may not necessarily be a way to keep you 100% clean but it will definitely aid with the whole cleansing process.